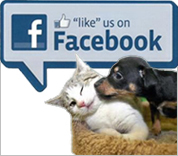 Thank you for contacting our low cost spay / neuter vet clinic. 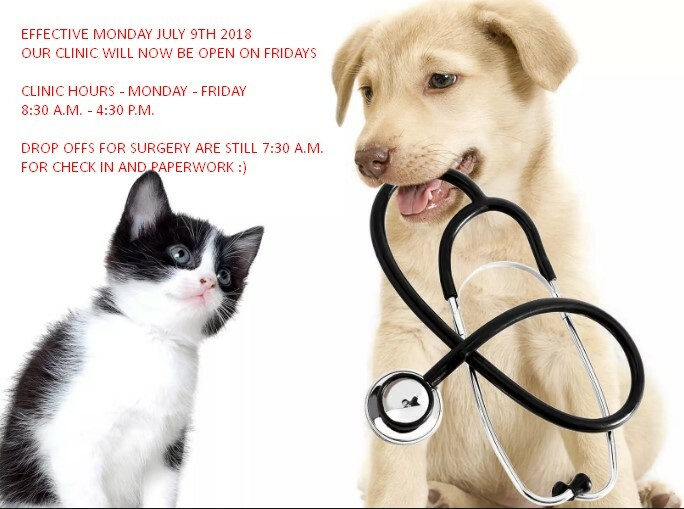 Starting Monday 7/9/18 the clinic will be open Monday – Friday from 8:30 a.m. – 4:30 p.m.
You can rest assured, all our clinic staff is here to help you and your pet/s and your furry family member is in caring, compassionate hands while in our care! 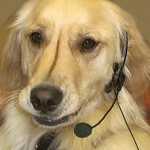 Please note: Phones are generally NOT answered during the day as our staff is in surgery and caring for our furry patients – so please leave a voicemail or email sterlingshelterclinic@gmail.com – Email IS checked as time allows during the day Monday – Thursday (and as time allows on Friday as well as periodically on nights and weekends). Email is the best and most efficient way to contact our clinic, If you DO call (Monday – Friday) and get our voicemail, please leave a message and we will get back to you as soon as possible or email us sterlingshelterclinic@gmail.com. 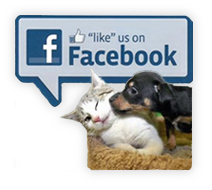 If you wish to have your pet/s spayed or neutered please click on https://sterlingshelterclinic.org/low-cost-spay-form/ – and enter your contact information and your pet/s information – our staff will be able to get in touch with you via email to schedule your pet/s appointment. Please allow 48-72 hours for response as we are very busy caring for our furry friends.